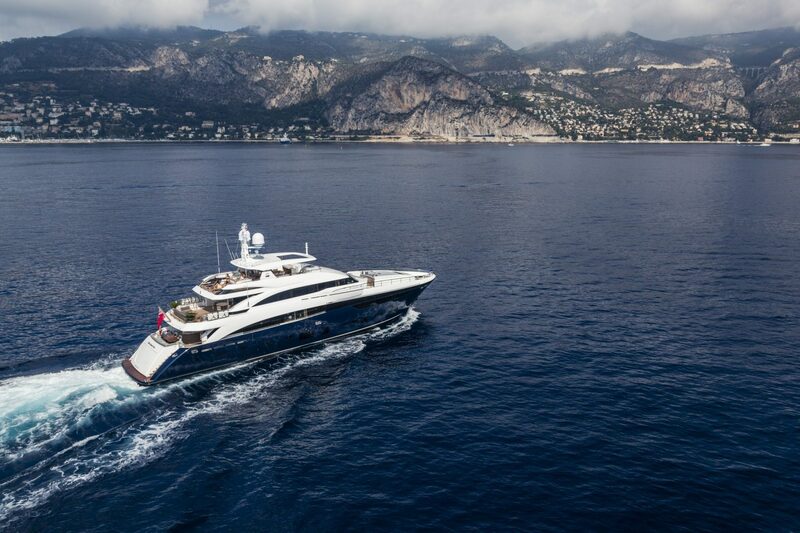 Winner of the prestigious 2013 World Superyacht Awards, the flagship of the Princess range is a global success story. 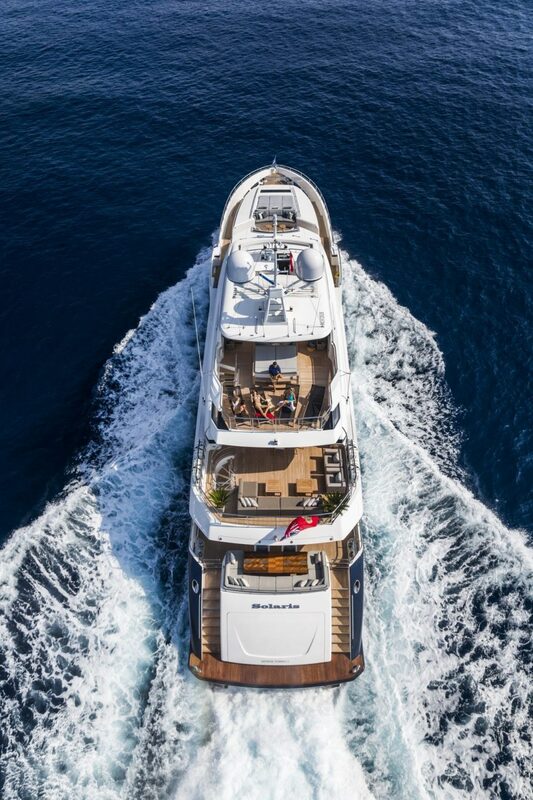 Over one hundred and thirty feet long, the tri-deck 40M epitomises the absolute peak of quality, luxury, performance and space. From the high tech resin infused construction to his ‘n hers en-suites, to the master cabin, this is the ultimate state of Princess’ art. 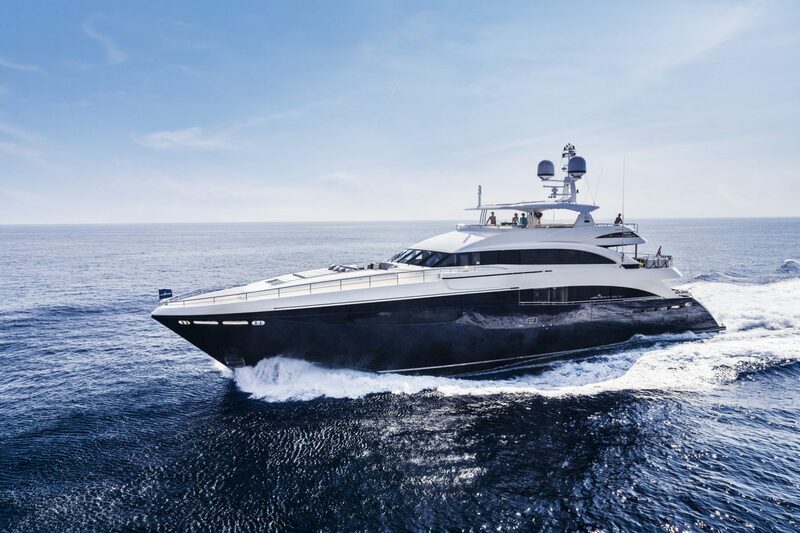 The Princess 40M superyacht has the largest resin-infused hull ever molded and ensures that Princess have made a grand entrance into the 100ft-plus yacht market. As you would expect, the accommodation is sumptuous throughout with a five cabin layout for up to 12 guests to live aboard in complete luxury. There is also space for seven crew to live comfortably and in complete privacy. 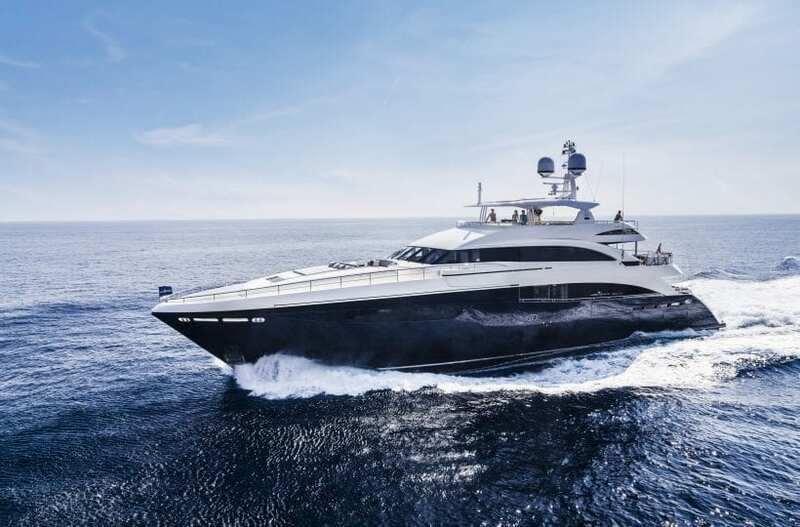 The Princess 40M builds upon the enviable reputation of Princess for building top-quality luxury motor yachts. Over two years in the making and with close co-operation from the first 40M owner, this is a true semi-custom yacht built to the highest quality specification and with a number of features that are more commonly found on 50+ metre yachts. The quality is evident throughout the yacht. 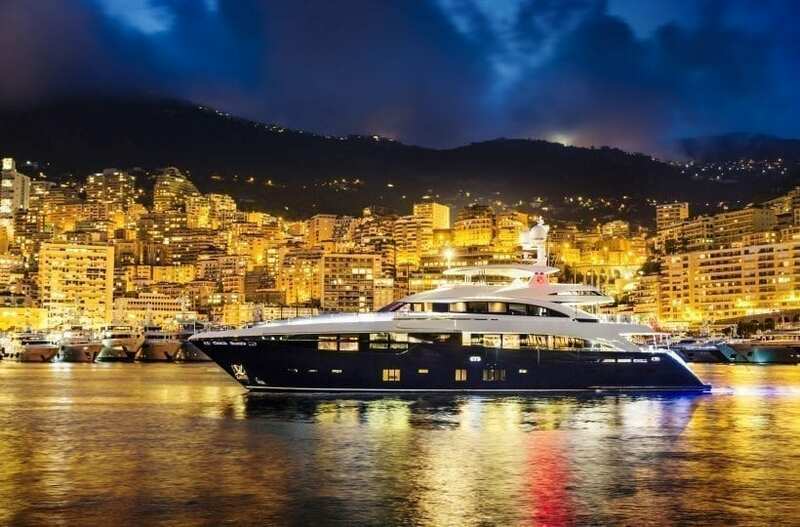 Sound and vibration is minimised and the resin infused hull means the yacht is much lighter than one would expect for a boat of this magnitude. Power comes from twin MTUs giving a top speed of 23 knots. 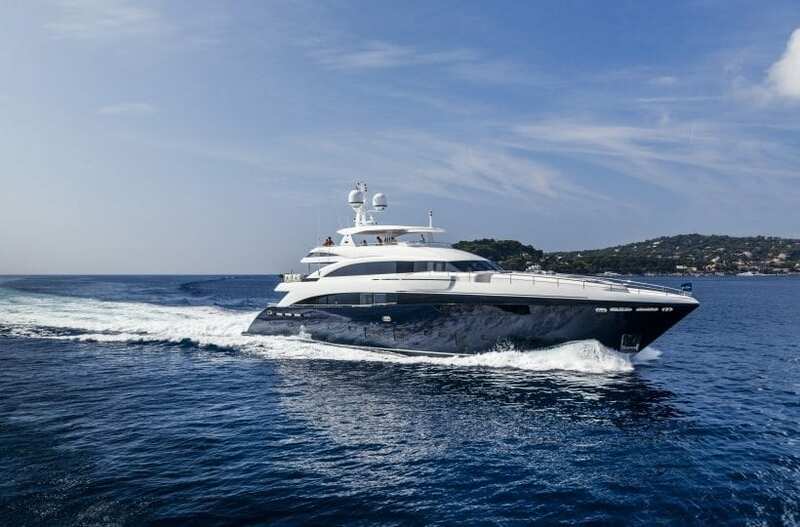 Cruising speed is around 12 to 14 knots, which gives the boat a fuel consumption rate of 250 to 300 litres per hour and a range of 1,500 miles. The deck spaces and superbly insulated and thoroughly planned out. 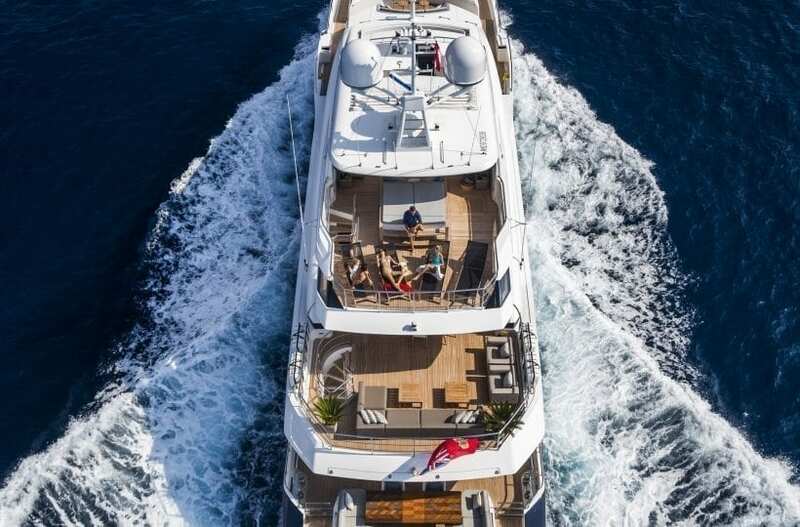 A large main deck galley and expansive views via the hull windows reveal the attention to detail which has been afforded to the design of the yacht. 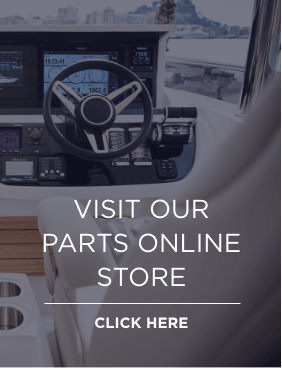 The aft garage can house a Jet Ski and a custom designed 6.5m Rib. The whole aft area doubles up as a huge guest relaxation area right on the water. 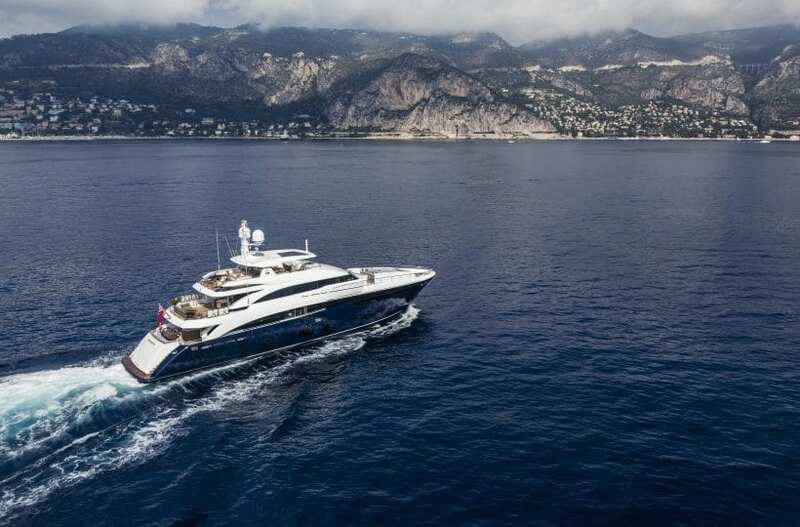 The 40M clearly demonstrates the ability of Princess Yachts to build some of the most technically advanced and luxurious superyachts and this was acknowledged by the 40M winning the prestigious World Superyacht Award.